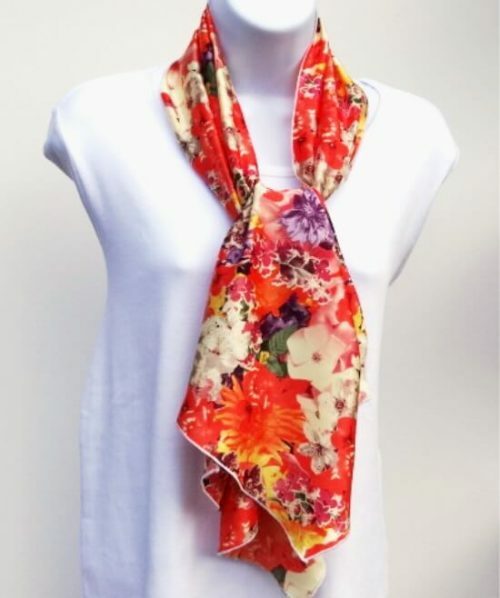 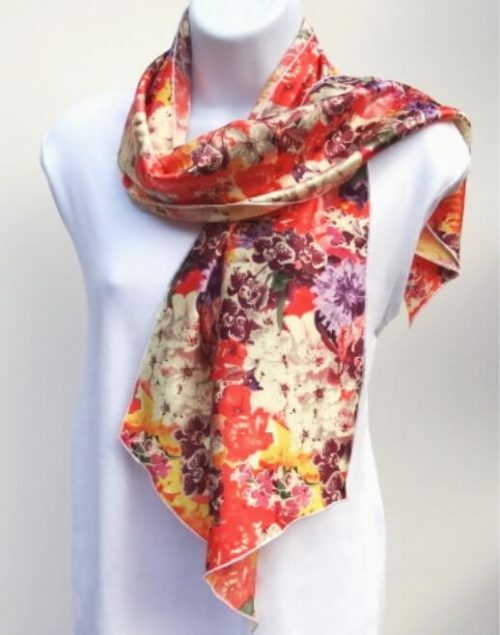 Feel the sunny warmth of summer all year long when you wear this satin scarf with mouth watering colors of orange, yellow and purple colors laid out in a floral pattern. 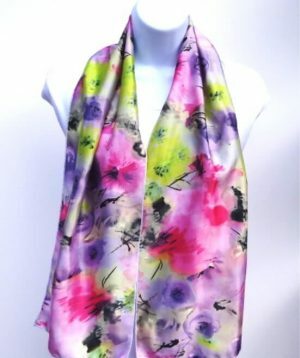 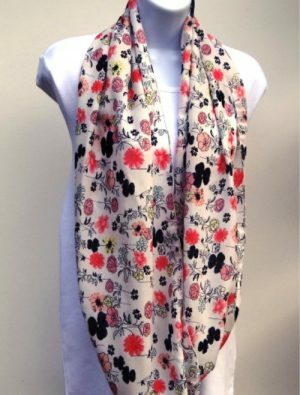 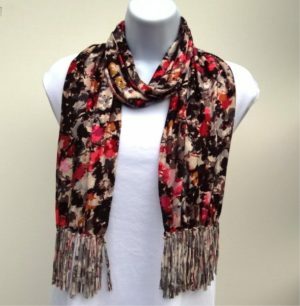 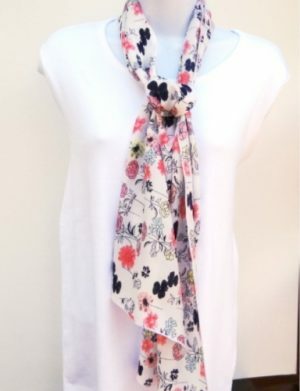 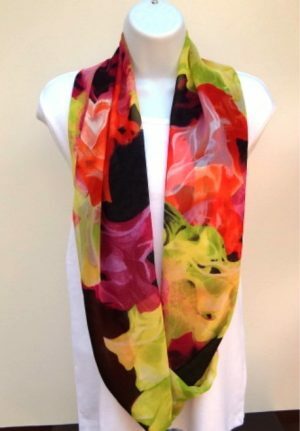 You will love the soft elegant look and feel of this summer blossom satin scarf. Color: orange, yellow and purple colors laid out in a floral pattern. 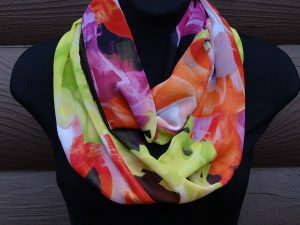 All edges were neatly finished by machine.